This post will empower you to access the full Google Play store including Google Books, Magazines, Movies, Music and TV on your android device. Using the method described in this post, you will not only be able to access the Google Play store but will actually be able to purchase paid content that is not available in your country. Unlike other methods this does not require a rooted device and works perfectly fine for non-rooted devices too. Check out the three (3) steps you need to perform in order to access the full potential of Google Play store on your beloved Android mobile/tablet. Scroll through the list find Google Play Store and Tap on it to open its App info screen. Click on the Clear Data button. You will get a warning that this will delete stored data, ignore that and click Ok to continue. 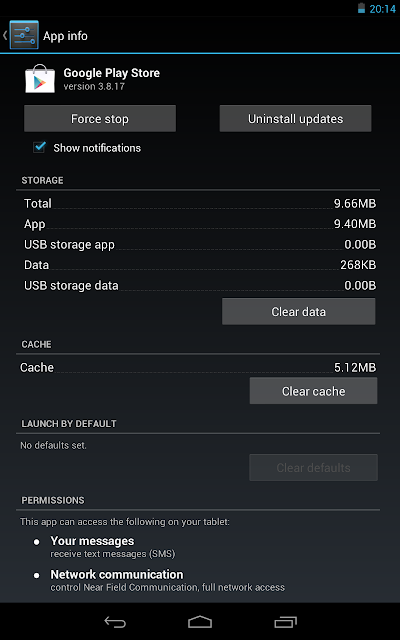 Next click on clear cache button. Once done both the button will automatically be disabled, which means you did it right! Now go back to home screen and tap on Google Play. Wait for some time to load it up and voila! you can now access the full Google Play store without geographical restrictions. You will now get Google Apps, Music, Magazines, Books and Movies & TV. STEP 3.5 Like us on Facebook! Please note that this will only work till you're connected to VPN network. Once you are connected to your home network, the old Play Store with only apps and other app region restrictions will return. You can then repeat the same procedure to access the full Play Store once again.